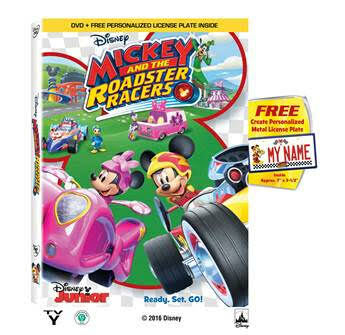 7 Kids and Us: Mickey and the Roadster Racers now on DVD! Plus GIVEAWAY! 5 Winners!! Mickey and the Roadster Racers now on DVD! Plus GIVEAWAY! 5 Winners!! FIVE winners are going to each receive a copy of the DVD! Enter below to win.